Most superheroes are pretty urban. We tend to think of Superman hanging around Metropolis, or Batman protecting Gotham. But photographer Benoit Lapray has been working for the past four or five years on a series showing superheroes in nature. Lapray tells io9 it started when he was living in the French Alps, and he was walking in the mountains, and he got the image of Superman "on a big rock, balanced in the air, and it worked immediately. The result was really powerful." Lapray realized " there was an evident link between superheroes and nature." 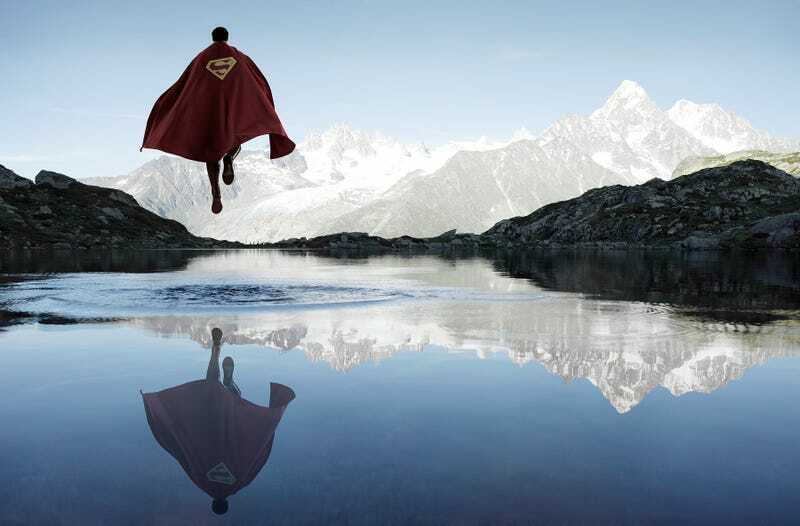 Lapray creates these images by shooting natural landscapes, and taking pictures of the superheroes in his studio, and then combining them using Photoshop. He likes using Batman, because his black costume looks really impressive, and "he is the perfect blend between humanity and nature : bat / man." He wants you to come away from these photos with an awareness that "everybody is fragile" — even superheroes. Check out more of Lapray's photos below, and see some more at his site. He also has some prints for sale.